The NBA continues to improve post-high school conditions for players who want to pursue other avenues besides playing college ball and have enlisted the services of former players to aid in their quest to make the “Straight to the G League” path more attractive. 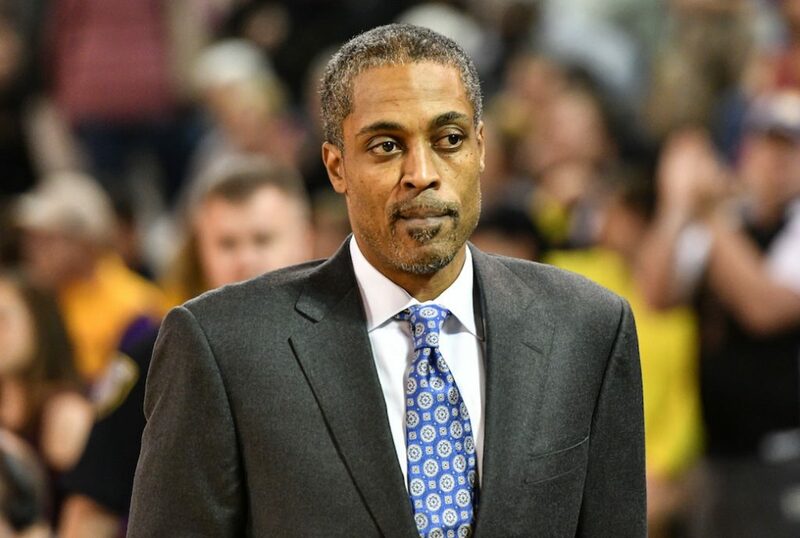 Rod Strickland, 17 year NBA veteran and former college assistant, and Allison Feaster, 18 year veteran (WNBA and Overseas) and NBA G League Manager of Player Personnel and Coach Relations, have been chosen to oversee the new professional path initiative that will give elite prospects the opportunity to play for the G League directly following their senior year of high school as opposed to committing to the temporary holding room of “one and done”. The league couldn’t have chosen two better people to spearhead this initiative. Strickland will be mainly responsible for evaluating talent for the program and distinguishing who is considered “elite” and also with a team of former players will help give these young players life skills like money management, social and professional responsibility and simply making the transition from a structured and detailed life as a high school student athlete to being a professional basketball player. As many can attest, there is a stark difference between the two. Making the jump from college to the pros is drastic and many athletes are shellshocked so the immediate matriculation from high school to primetime would present new challenges that these young men will definitely need help navigating through. While the NBA already has a Rookie Transition Program in place, this new module seems to be more intense and a more guided process than the existing one. The RTP is similar to freshman orientation in college, taking place before the season with spot checks throughout the year. The PPI (Professional Path Initiative) will be more structured with a step by step process to help start these newbies off on the right foot and manage their development more closely. Rod Strickland is the perfect person to have at the forefront of this. He has vast NBA experience as a player and has been successful in the developmental and mentorship aspect of the game having held assistant coaching positions at the University of South Florida and the University of Kentucky which has pretty much been an NBA vocational school in recent years. He has also been heavily involved in grassroots basketball and is highly regarded in those circles from which many of the potential candidates for this program will most assuredly come. He has the knowledge and experience to guide these young men through this process and can speak directly to the looming pitfalls that await them and give the best strategies on how to avoid them. Feaster brings a bevy of experience and know how to her role as well. She will oversee the widespread implementation of the program and manage it on a broader aspect. Her focus will be to identify those players who are most qualified for this opportunity. That means more than jut being able to play. Feaster emphasized that they will be extremely selective with whom they allow to participate. She wants players who are ready to be involved in a professional league. Having been in her current role for the better part of the last year, she has first hand experience of what G League coaches and GM’s are looking for in regards to players they would welcome onto their teams and this in-depth information will be invaluable as they move forward in the selection process. If we’re being honest, this is spawned from the on-going conversation of whether or not collegiate athletes should receive compensation but at least the NBA and the NBA G League are putting some real thought and structure into this program so the players that do choose to go this route are being put in the best possible position to succeed. I am happy that they have chosen these two individuals to look after their new baby and hopefully this will lead down the path of eradicating “one and done” and allowing kids the opportunity to fulfilling their NBA dreams straight out of high school once again and providing for their families.